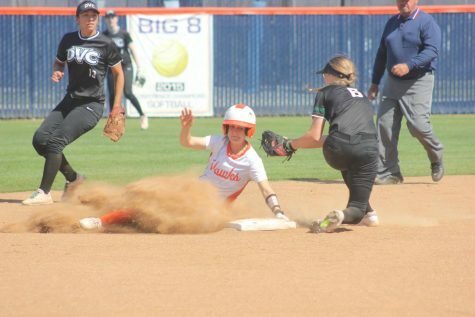 The Cosumnes River College softball team picked up an important conference win on Tuesday, defeating Sacramento City College 6-0, improving its conference record to 4-2 with a 20-5 overall record on the season. 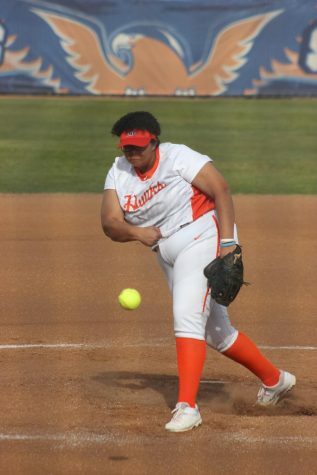 Freshman pitcher Aimee Hutchinson threw a shutout, allowing only four hits and striking out nine over seven innings, it was her second shutout in the past week after she shutout Modesto College on March 17. 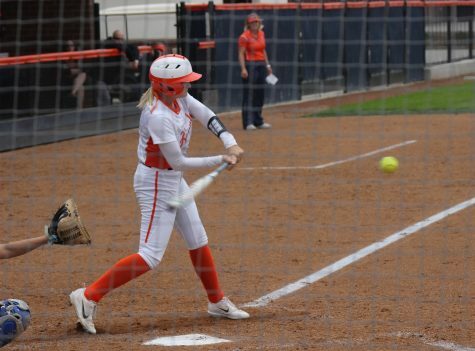 “When you can strikeout that many batters, it really makes it easy on the defense so all they have to do is worry about scoring, getting hits and moving around runners,” said head coach Kristy Schroeder. The Hawks were coming off two conference losses on Saturday to San Joaquin Delta College and were looking to bounce back against a Sacramento City team that entered with a 17-4-1 record, including a 5-0 record in Big 8 Conference games. “We had a bad day Saturday, didn’t really play our game. We really talked about getting refocused when things aren’t going well, so that was a big topic with practice yesterday and they responded great. Had great energy in the dugout,” Schroeder said. 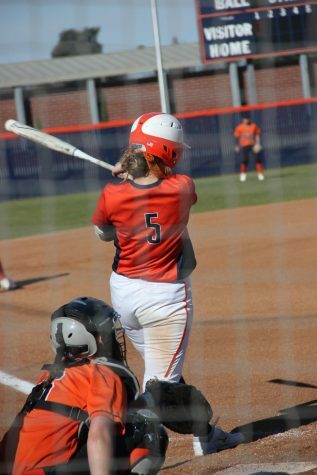 CRC scored early on Tuesday, sophomore first baseman Raechel Hooper drove in freshman centerfielder Amber Wright on a fielder’s choice to give the Hawks a 1-0 lead after the first inning. 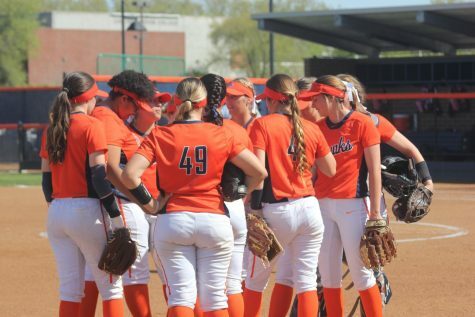 Hutchinson ran into some trouble in the second, allowing two singles to start the second inning and having the runners advance to second and third on a passed ball. 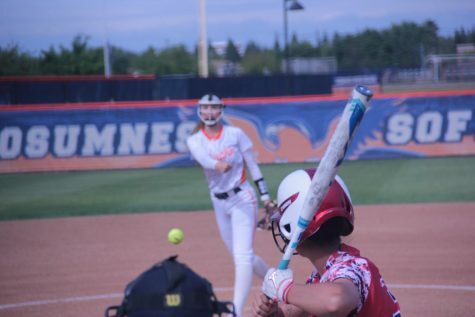 She was quickly able to escape the jam, generating a lineout for the second out of the inning and stranding the runners with a strikeout. It provided Hutchinson another chance to show off her ability to handle adversity on the mound and focus on the task at hand. “My mindset during the game is to just throw the ball by them with movement. I’m super, super competitive so when I have two runners on base, you can see if you watch me come out and play, my demeanor changes. My face, I’m not relaxed, I’m focused,” Hutchinson said. 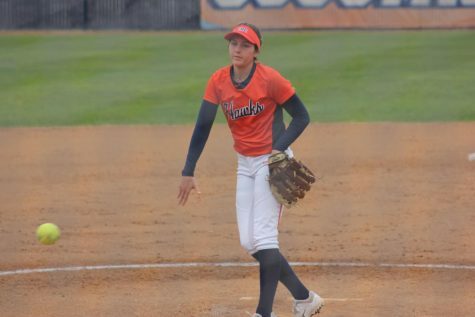 Sophomore shortstop Brenda Velasquez extended the Hawks lead in the second inning, lining an RBI single up the middle to drive in freshman utility fielder Courtney Beatty, giving the Hawks a 2-0 lead and providing more momentum for the team. “Very important because when you have runners on base, we want to make sure that we bring them in. If you leave them on base, that’s your opportunity to score and you never know if you are going to have that opportunity again, so it felt really good,” Velasquez said. With the win, the Hawks improved to 4-2 in the Big 8 Conference, a critical early start to conference play for the team. The Hawks resume conference play on Friday with a double header against American River College. Both games will take place at ARC, the first game starts at 12 p.m. and the second game starts at 2 p.m.